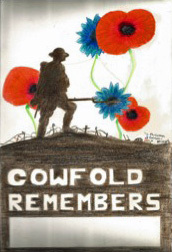 Welcome to the Cowfold Village History Society website. We hope that you enjoy browsing through the material collected about the history of our village and will find the records of our past as fascinating as we do. We are always pleased to receive comments on the website itself (good or bad!) and will also be grateful for any additional material for inclusion on the site, or for help on our various ongoing projects. You can contact us by completing the form here. 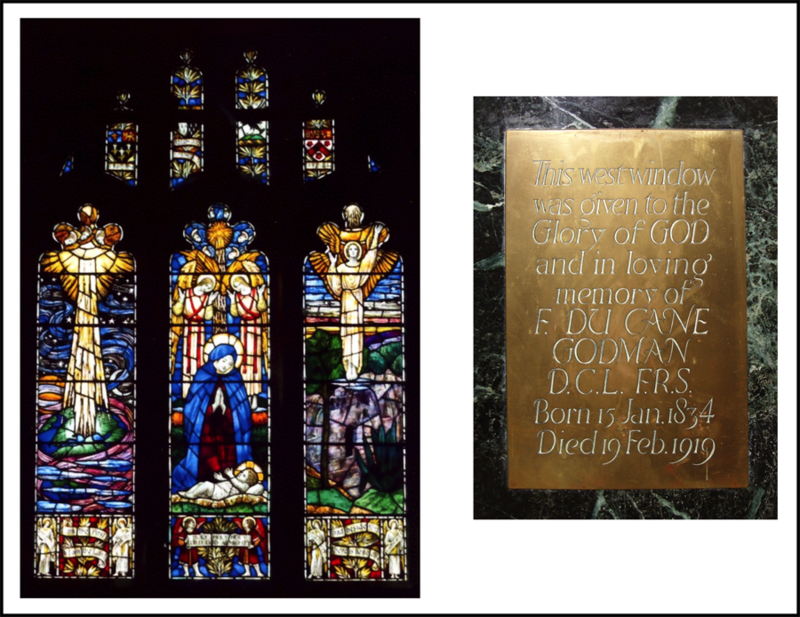 Tuesday 19 February will be the centenary of the death of Frederick du Cane Godman. 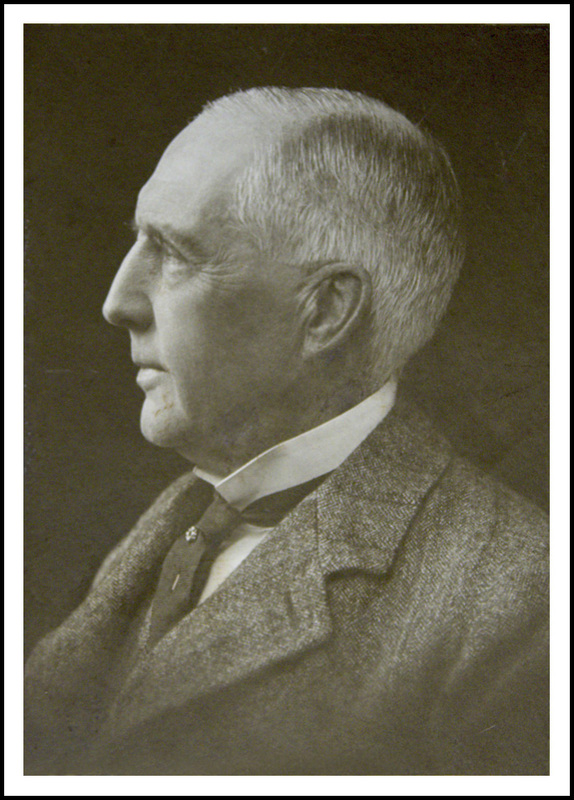 Born on 15 January 1834, he was educated at Eton before going to Trinity College, Cambridge. His father was a partner in the brewery, Whitbread and Company, and Frederick inherited a significant fortune. Throughout his lifetime, he travelled extensively and developed a passion for natural history, in particular, birds, butterflies and moths. He was a founding member of the British Ornithologists’ Union and, with Osbert Salvin, is remembered for carrying out a comprehensive and detailed study of the fauna and flora of Central America. He and Osbert donated their huge collection of specimens to the Natural History Museum (the biggest they had ever received) and there is a plaque to them on the wall by the bust of Charles Darwin. He also found the time to amass an important early collection of Islamic ceramics from Turkey, Spain and Persia; this was transferred to the British Museum following the death of his younger daughter, Catherine Edith, in 1982. 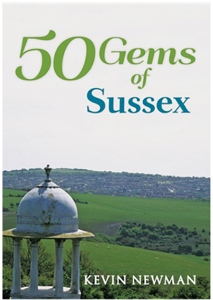 In the 1880s, he and his younger brother, Charles Bulkeley, came to Sussex and acquired estates here: Frederick bought South Lodge and his brother bought the Woldringfold Estate nearby. South Lodge was built in several stages over a period of 30 years from 1883. In 1985, it was bought by the Pecorelli family and is now a magnificent five star hotel. 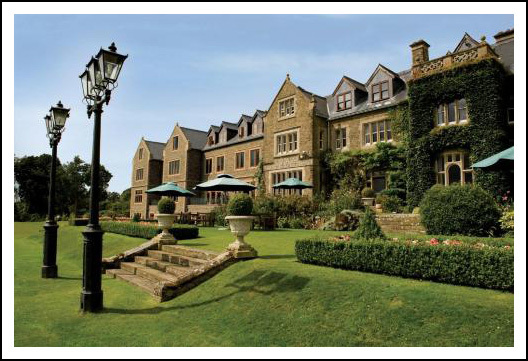 The South Lodge garden was considered to be one of the best in England and Frederick took an especial interest in rhododendrons and flowering shrubs and also had a famous orchid collection. Both Frederick and his brother took a keen interest in hunting with dogs, fishing and shooting. More importantly, they were generous benefactors of the local community. 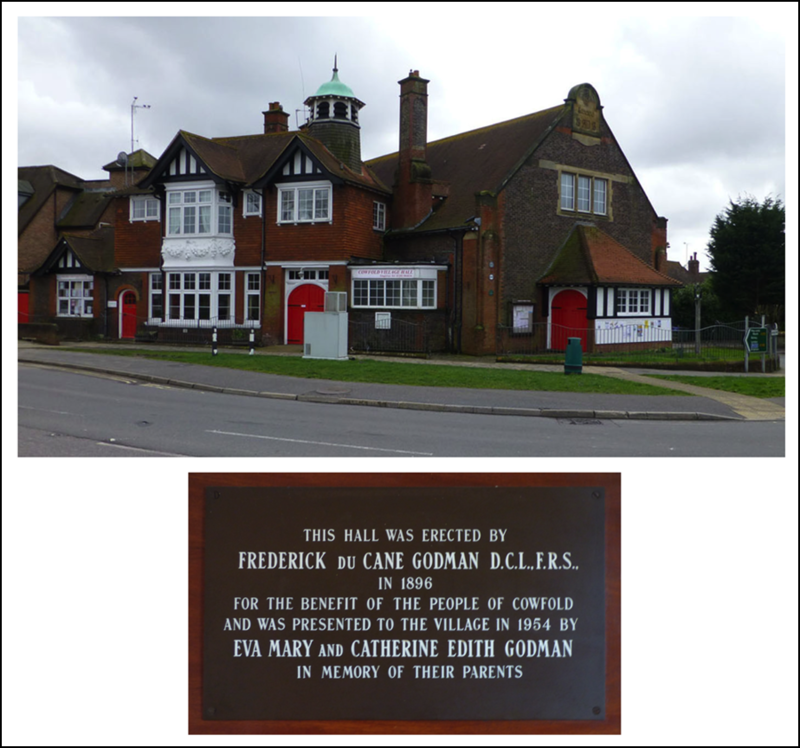 The Village Hall was erected by Fowlers in 1896 but was paid for by Frederick du Cane; it became, and still is, one of the focal points of village life. It was his special wish that the management of the Hall should in the hands of a Committee consisting of 12 persons to be elected each year at the Annual General Meeting. Two members, selected on the basis of having made the fewest attendances, were required to retire each year. He was also a staunch supporter of St Peter’s Church and, in the Bell Tower, there is a magnificent stained glass window dedicated to his memory. This shows the Creation, the Nativity and the Resurrection in the three main lights; the small lights include the arms of his alma maters: those of Eton College on the left hand side and those of Trinity College, Cambridge on the right hand side. Frederick’s support of the local community was continued after his death by his second wife, Dame Alice, and his daughters, Eva Mary and Catherine Edith. In 1945, the sisters donated the Playing Field on Bolney Road to the Parish Council “for the purpose of cricket, football or other games or recreations” in memory of their parents. So, the legacy left by him and his family remain with us one hundred years after his death.